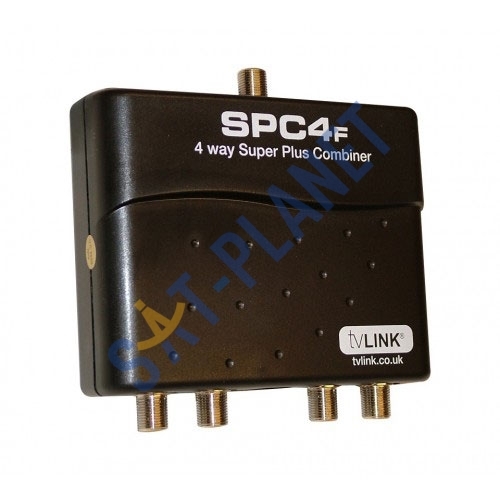 The Global Super Plus Combiner SPC4F makes it possible to locate all your Sky boxes in one location and allows you to have independent control from a remote location. 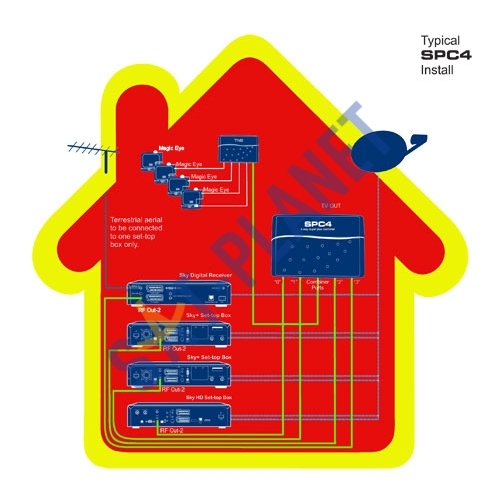 The SPC4F allows the RF output of up to four Sky boxes (any combination is fine including the standard Sky box, Sky+ box and Sky+HD box) to be integrated in to a home distribution system. Once connected you simply allocate a remote to a box, from then on the remote allocated to box 'A' for example will only control box 'A' from then on when the buttons are pressed. 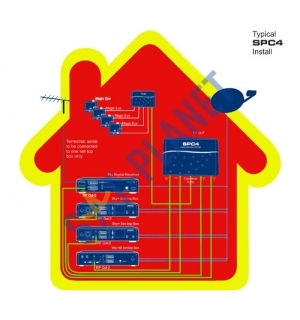 As the SPC4F Super Plus Combiner is what ultimately decides what remote controls which box it means the boxes can not be in the same room that you want to control them from, if they were the box itself would pick up the remote command and all boxes (assuming they were all the same type) would change simultaneously. If you're wanting to locate the boxes in the same room that you want to control them from you will need to box them in or cover the sensors on the front of the boxes, then connect them all to the SPC4F with a Sky TV Link coming from the output, this will then pick up the remote commands and allow the Super Plus Combiner to make the decisions.